I don’t have the slightest idea about knitting. If it were crochet though, I’d probably get the needles to redo. If you’re not satisfied with the outcome now … I know frogging it hurts us way, way down but you know you’ll feel better once it comes out with 3 extra inches instead of 3 less. Can you only frog back a certain portion and continue with the circular 6? Remember what you told me about my temperature blanket when I wasn’t satisfied with the data I had? I signed up to do the Knitterati Afghan, too, but I don’t do double points. I was trying to figure out how to do it with Magic Loop, but gave up. I will probably skip this square and substitute something else. I wonder, if most of the squares will be made from the center-out, though? Double points are definitely difficult to wrangle, especially at the beginning of a project. It’s taken me lots of practice to get the hang of it, but for tiny diameter knitting with less than 50 stitches or so, I actually prefer them over magic loop. I just got the email notification about block two. 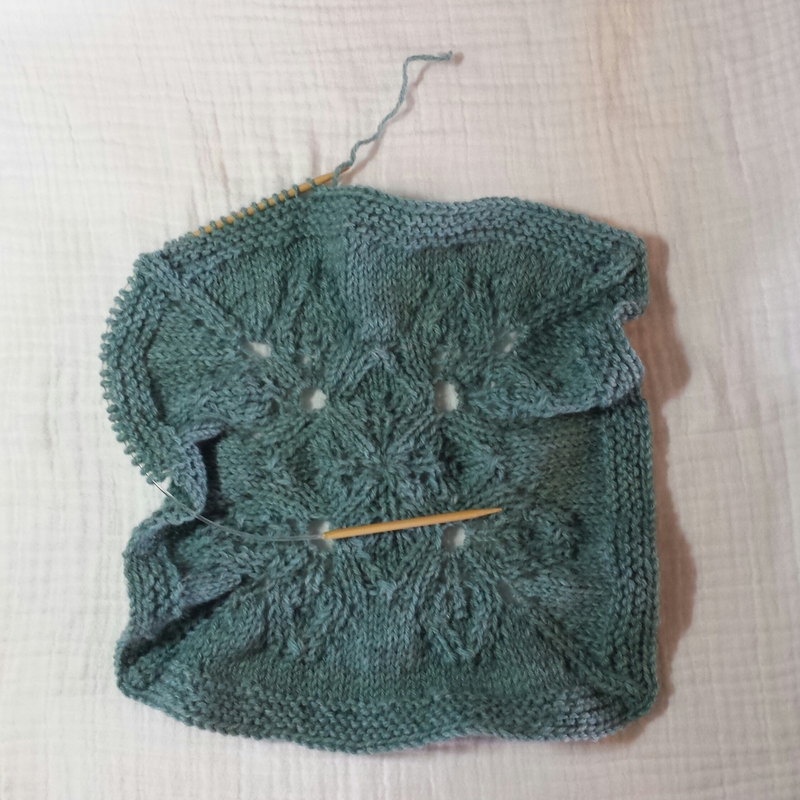 Good news, this one isn’t knit from the center-out! In other news, I may not be using all 30 blocks in my finished afghan. LOL.